FOX has put Hotel Hell back on the schedule with a debut date of August 13th. Time will tell if it’ll actually air this time. The network has changed their plans for the new Gordon Ramsay series twice before, having previously announced April 6th and June 4th as premiere dates. Here’s the press release from FOX. Gordon Ramsay opens the doors to HOTEL HELL with a two-night series premiere event Monday, Aug. 13 (8:00-9:00 PM ET/PT) and Tuesday, Aug. 14 (8:00-9:00 PM ET/PT) on FOX. The unscripted series featuring Ramsay on a quest to fix horrid hotels, awful inns and just plain bad bed and breakfasts will continue airing Mondays (8:00-9:00 PM ET/PT) beginning Aug. 20. After more than a decade of running restaurants in some of the world’s top hotels, Ramsay knows firsthand the crucial importance of surpassing guests’ highest expectations. In HOTEL HELL, Ramsay will endure hotels at their worst – from filthy bedrooms and mold-ridden bathrooms to dreadful room service and incompetent staff – all so unsuspecting guests don’t have to. After he has uncovered all the dirty secrets, Ramsay will put the hotel owners and employees to work as he attempts to turn around these failing establishments. With reputations on the line, one thing is certain: if they can’t meet Ramsay’s high standards, they will never check out of HOTEL HELL. HOTEL HELL is produced by One Potato Two Potato Inc. (part of the All3Media group). Gordon Ramsay, Ben Adler, Patricia Llewellyn and Adeline Ramage Rooney serve as executive producers. “Like” HOTEL HELL on Facebook at www.facebook.com/HotelHellonFOX. Follow the series on Twitter @HotelHellonFOX and join the discussion at #hotelhell. One Potato Two Potato was co-founded by Gordon Ramsay and Optomen Television in 2008 to exclusively create and produce worldwide content for Ramsay ventures across all media, including television, digital and publishing. 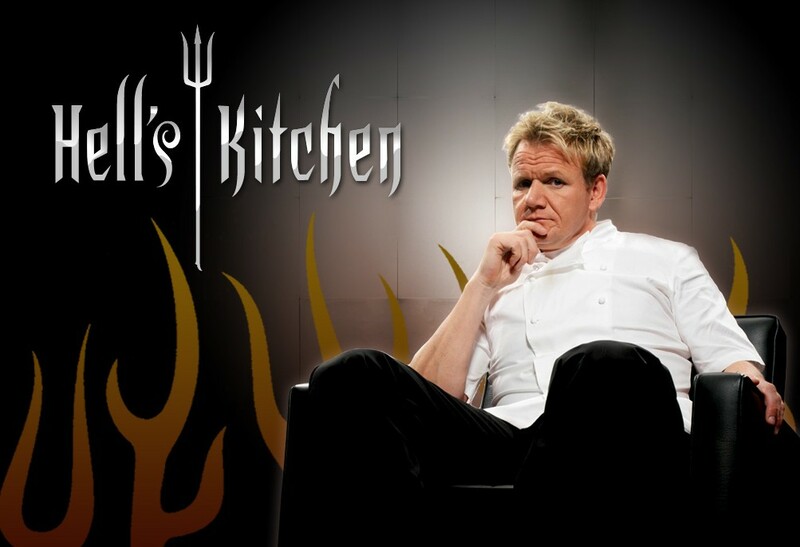 Renowned for award-winning original programming, the company produces high-quality TV shows on both sides of the Atlantic, including the smash hit MASTERCHEF for FOX, “Gordon Ramsay Behind Bars” and “Gordon’s Great Escape” for Channel 4 in the U.K. and “My Kitchen,” for UKTV’s Good Food Channel. Ramsay’s ground-breaking and hugely popular Channel 4 series, “Cookalong LIVE,” aired as a special on FOX and has since become a successful format around the world. OPTP is also currently in development on several exciting unscripted and scripted projects, within and beyond the food genre, for network, cable and digital platforms in the U.S., U.K. and Australia. OPTP distributes its hugely popular TV programming and formats to more than 200 territories via Optomen International. The company became part of the All3Media group in 2010. Find out more about One Potato Two Potato at www.onepotatotwopotato.tv. What do you think? Will Hotel Hell finally air on FOX? Do you think that it’ll be a hit for the network? More about: Hotel Hell, Hotel Hell: canceled or renewed? You know, as interesting as “Restaurant Impossible” and “Kitchen Nightmares” are to me, I have zero interest in “Hotel Impossible” and I’ll be passing on this one. It’s just what industry interests you, I suppose.